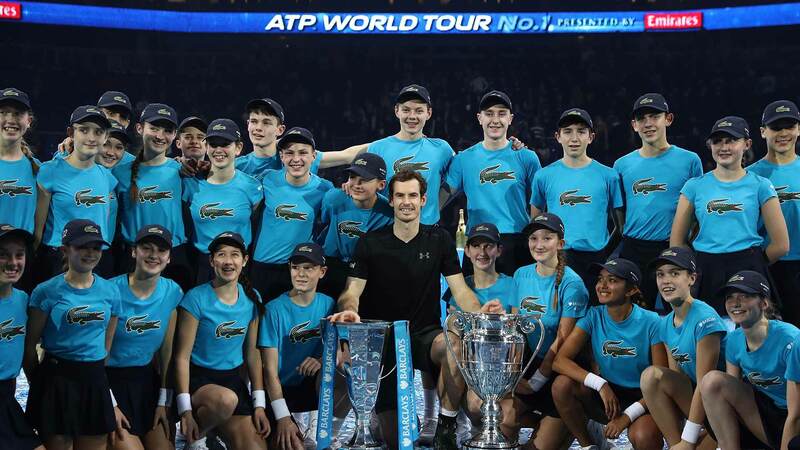 Andy Murray sealed a storybook conclusion to his 2016 campaign, assuming the mantle of year-end No. 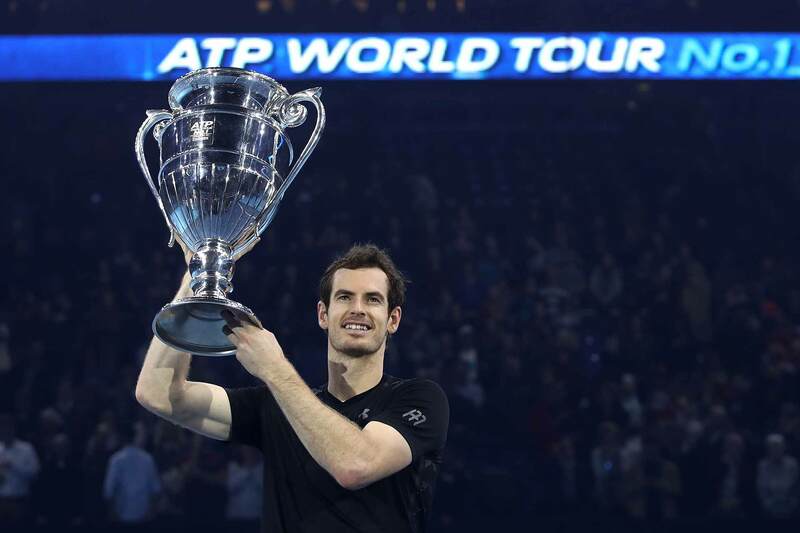 1 in the Emirates ATP Rankings with his first Barclays ATP World Tour Finals title. 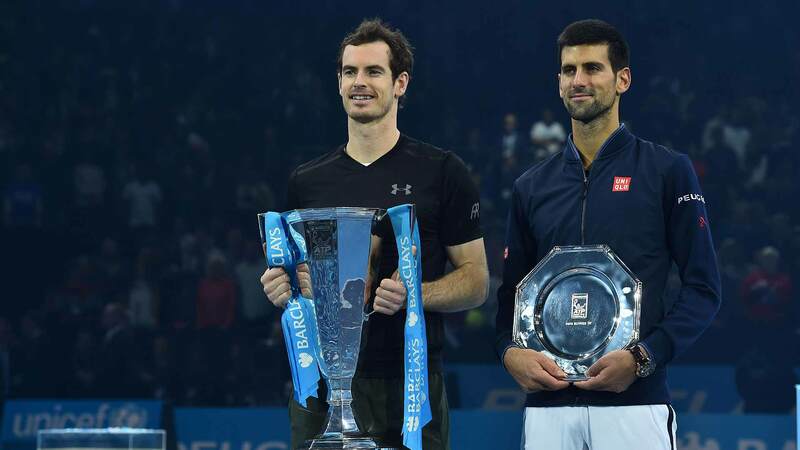 Murray dethroned rival Novak Djokovic 6-3, 6-4 in Sunday's gripping final. Murray capped a stunning march to the pinnacle of the tennis world with his 24th consecutive match win and fifth straight title. 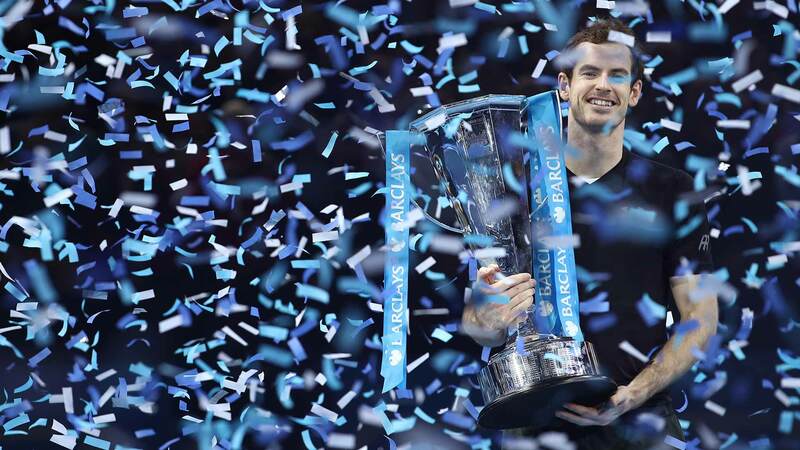 He cemented his place in the history books in becoming the 17th player to finish atop the Emirates ATP Rankings and first Brit to lift the trophy at the season finale. Touted as a match for the ages with so much on the line, it was Murray who grabbed the initiative. All eyes were on The O2 on Sunday, confirmed by a star-studded list of celebrities in attendance, including actors Kevin Spacey, Jude Law, Woody Harrelson, Clive Owen, singer Sam Smith and footballers Gerard Pique and Bastian Schweinsteiger. 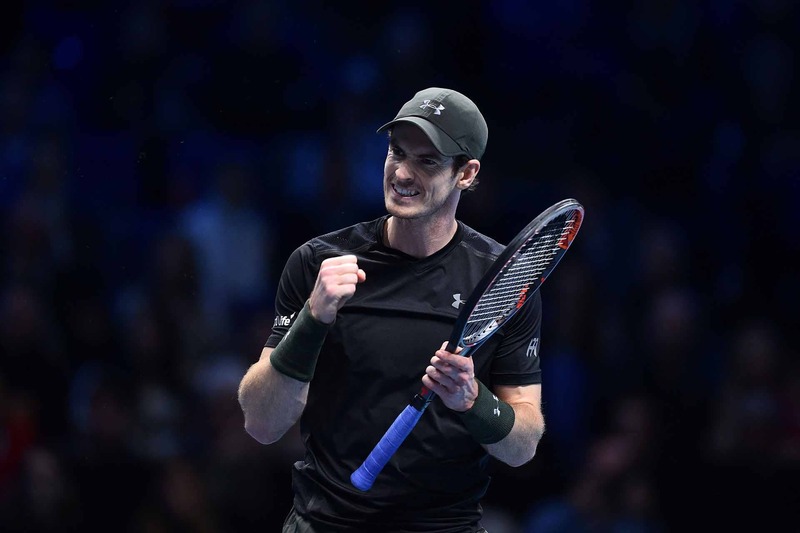 Djokovic was ruthless on serve as proceedings got underway, claiming his first nine service points, but it would come under seige in the sixth game, as Murray earned a pair of break chances. The Serbian turned aside both opportunities and the Scot would finally break through a game later, behind a bevy of rifled returns. He refused to let the lead slip from his grasp, taking the opener 6-3 after 46 minutes. Murray had laboured on court for a marathon nine hours and 56 minutes entering the final, including the two longest best-of-three set matches in tournament history (since 1991), while Djokovic needed three hours less to reach the title match. But the top seed exhibited no signs of fatigue. 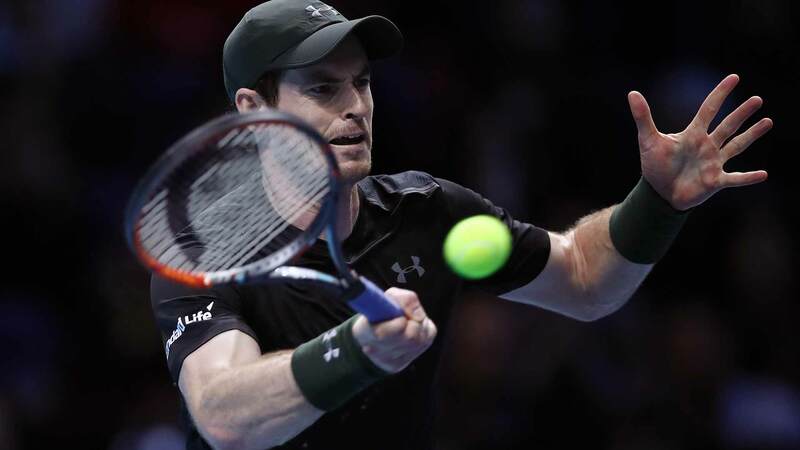 Impenetrable from the back of the court, Murray turned defence into offence in a flash, claiming 26 to 13 baseline points through the first 10 games of the encounter. The World No. 1 converted his fourth break chance in the opening game of the second set to surge ahead. 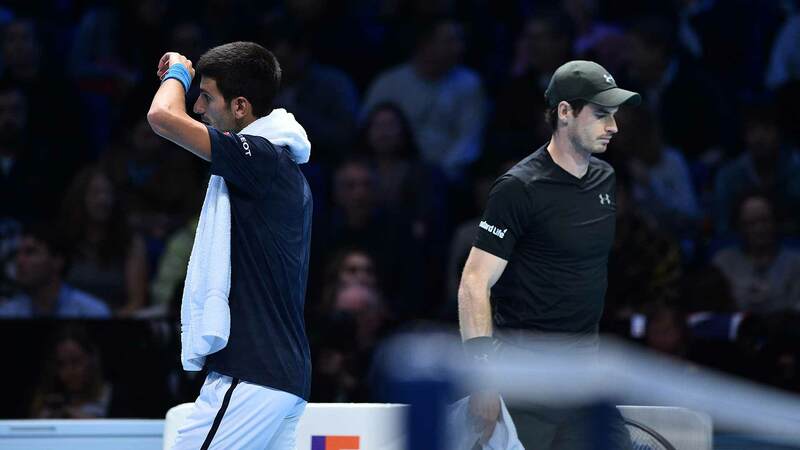 Djokovic was uncharacteristically off balance and Murray capitalised, firing a stunning backhand pass in the fifth game en route to claiming a second break and slamming the door shut. The Scot would concede one break back for 4-2, but it proved to be too late for the four-time defending champion. Murray would emerge victorious on his third match point after one hour and 42 minutes, as a Djokovic return sailed wide. It was the first time since 2000 in Lisbon that the year-end No. 1 player has been decided by the outcome of the championship match of the season finale. Djokovic's lead in their FedEx ATP Head2Head is now 24-11, with the World No. 2 claiming three of their five meetings this year. Murray also won in the final at the ATP World Tour Masters 1000 event in Rome. With the victory, he became the first player to win the Barclays ATP World Tour Finals title after saving match point since Roger Federer in 2006 in Shanghai. 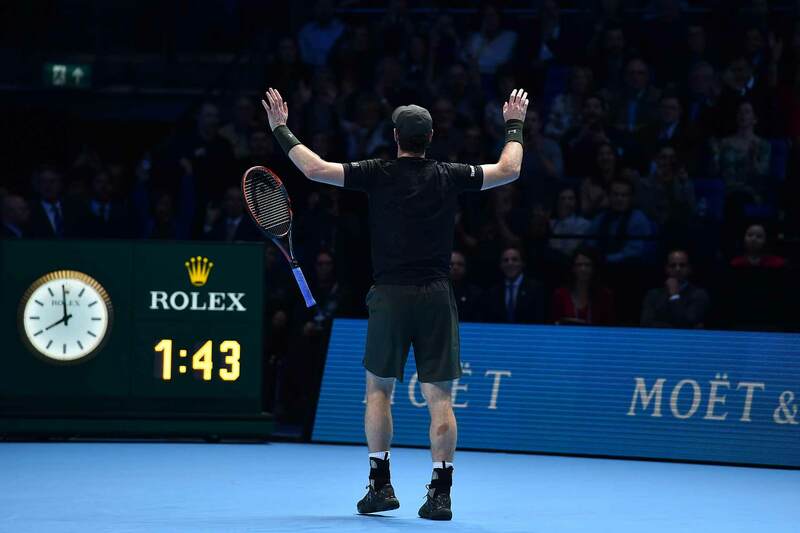 Murray turned aside one in Saturday's semi-final thriller against Milos Raonic. Murray, who takes home $2,391,000 and 1,500 Emirates ATP Rankings points, is the 10th different No. 1 ranked player to win the title at the season finale. He claimed his 44th tour-level crown overall, improving to 44-21 in finals. 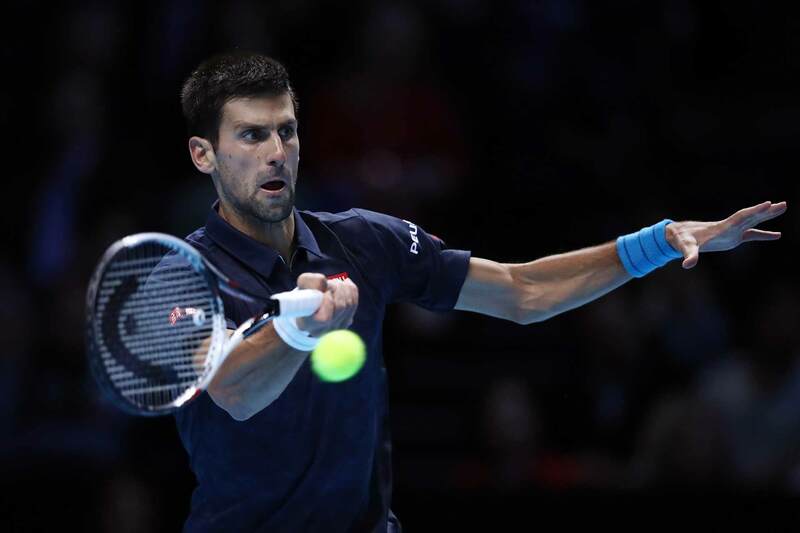 Djokovic was trying to capture his fifth straight Barclays ATP World Tour Finals title and sixth overall. The four-time year-end No. 1 was also bidding for a third consecutive finish in the top spot of the Emirates ATP Rankings. He earns $1,261,000 in prize money and 1,000 Emirates ATP Rankings points.